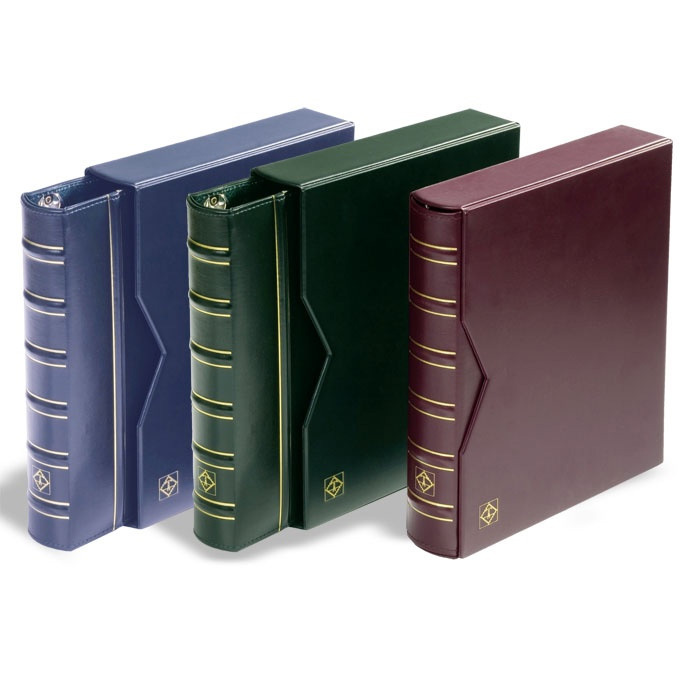 These binders come with Slip Case. Pages for these binders are found directly below each binder listing. Binders do not come with pages. 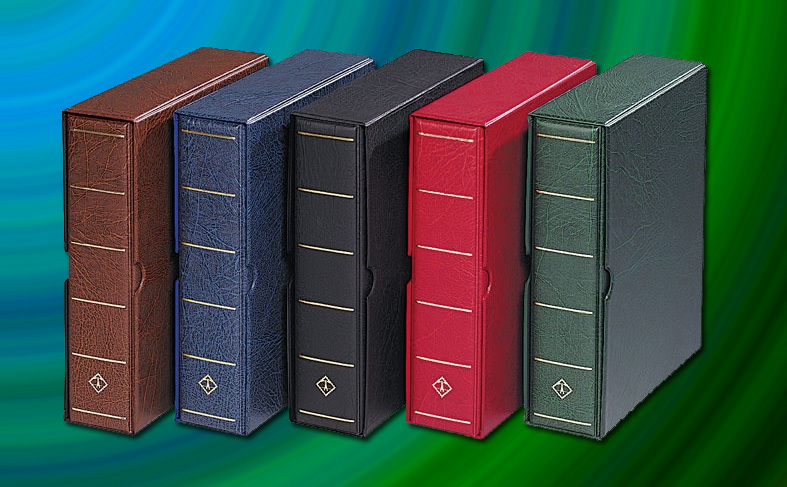 Vario Pages for these binders are offered below. Vario F Binder is a 3-ring-binder with 2 sheet-lifters. 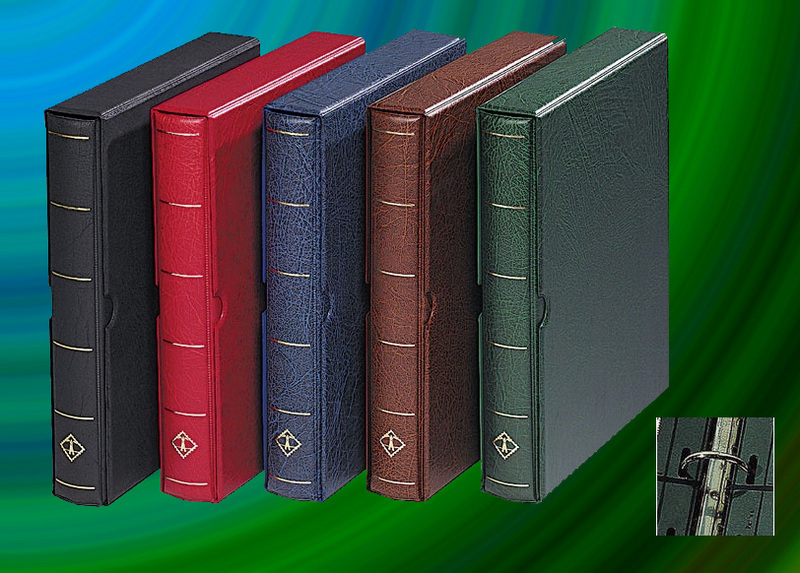 Padded leatherette cover with matching slipcase. Overall size: 101/4 x 12 3/4" (255x318mm). Capacity: 20-30 sheets (depending on contents). The Vario G Binder is a 3-D-ring combination has a much larger capacity of approx. 60 VARIO pages. Overall size: 11 x 12 3/4" (275x318mm). Large capactiy: 40-60 sheets (depending on contents). Vario-Plus-Sheets Are heaver (stronger and thicker/rigid) than the above Vario-S. They offer the exact same layout as pictured above. Double-sided pages. Vario-S sheets are welded crystal clear pockets, and measure approx. 8 1/2" x 11" with Black Background.